So Ichabod can drive now, or he's at least learning quickly. He's been practicing with Jenny but Abbie wants him to master this so he can be a master of 21st century skills useful to the battle they're fighting together as Witnesses. Ichabod knows that Abbie is wanting him to be able to take care of himself because she believes she's doomed and he calls her out on it. But he assure her it's not their fate to have one bury the other. They will be victorious or defeated together. The sweet moment is interrupted by Ichabod receiving an Amber Alert, which Abbie explains to him as something they all receive when a child goes missing. The missing girl is Sarah, the 10-year-old daughter of Abbie's former foster care case worker. Abbie gives her word that they will find Sarah. Ichabod determines that the monster is the Pied Piper, after he plays a flute made of bone that he finds in the woods which causes Abbie to get into a trance-like state. The flute compels people to follow it wherever the player wishes. The Pied Piper was a man from the Colonial era that eventually became a demon. Ichabod and Abbie record the song from the flute and put it on a loop. They have Abbie listen to it through some earbuds and see where she walks. Ichabod eventually pulls the ear buds out and they find Hawley, who is injured after having had a run-in with the Pied Piper the night before when the girl was kidnapped. He's willing to help Ichabod and Abbie help them find the girl if he can keep the flute, which he plans to sell. Ichabod doesn't like this plan but Abbie says it's fine. Irving looks through a Bible in the asylum's library. He has a vision of himself looking like an 80s action star, killing officers of the Sheriff's Department in a post-apocalyptic battle at which the Horseman of War is present. When Irving comes out of the vision, the Bible goes up in flames. Abbie puts the headphones back on and leads the men to the Pied Piper's underground lair. They discover Sarah, who is still alive, and Abbie begins to pick the locks on her restraints. Hawley, who for some reason has gone off on his own, encounters the Pied Piper and is attacked yet again. Ichabod helps fight him off long enough for Abbie to run out with Sarah, Hawley to set some explosives, and Ichabod and Hawley to follow after Abbie and Sarah to escape the blast. Sarah can't remember how she got to the lair but Abbie assures her things will be okay. Hawley just wants the flute and to run off. Ichabod still has the lowest opinion of Hawley and calls him a "privateer." Hawley only cares about business and profit but isn't interested in saving the world. Abbie goes to give Hawley the flute but snaps it in half first. Hawley takes the pieces and wishes them luck. Abbie and Ichabod return Sarah to her parents. Ichabod notes how Sarah's mother didn't seem particularly relieved at having her daughter back. This sends Ichabod searching for research. The Pied Piper always stole a daughter from the Founding Family. But if he cannot claim his prize, all the children die through an illness. So under these circumstances, the only way to save the children is to sacrifice one. 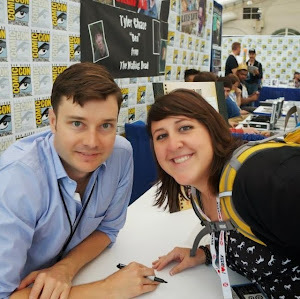 Ichabod and Abbie go to find the family and find that all the (adopted) sons are sick with the Piper's curse. Beth is gone and so is her daughter Sarah. Ichabod and Abbie head to the forest where they find Beth preparing to sacrifice Sarah in order to save her other children. Ichabod and Abbie are able to convince Beth to lower her weapon but it's just then the Pied Piper attacks. Abbie fires some shots, causing the Piper to retreat back into his lair. Abbie tells Ichabod to go down and finish it. Sword in hand, he drops down and puts some noise-cancelling earbuds in. But in the scuffle, they fall out of his head. It looks as if Ichabod is done for, and his ears begin to bleed, but he gets back to fight some more. But in the end, it's Abbie who saves the day, stabbing and killing the Piper with his own staff and declaring, "No more kids." Henry visits Irving, who tells him he had secured funding for Irving's wife and daughter. It's very clearly a threat, and Irving wants to know what Henry wants. Henry asks if the Witnesses have kept his family safe, or have they only brought suffering to his and his family's wife. Henry tells him to think about it and as he's leaving, Irving asks what he has done to him. As it turns out, Henry stole Irving's soul through that blood pen. The Witnesses celebrate another victory against the forces of evil with a cup of over-priced coffee. Abbie gets enjoyment out of Ichabod's getting foam into his beard and wipes it off for him. Abbie is happy and Ichabod is ready to get back to work. The final revelation in tonight's episode is that the buyer of the flute from Hawley is Henry. Hawley doesn't actually see Henry, as a server acts as a third party to pick it up. Hawley does the "honourable" thing in warning the person that the flute is damaged but they don't seem to care, and neither does Henry, as he grinds up the broken pieces, tastes the powder, and declares, "It's perfect." 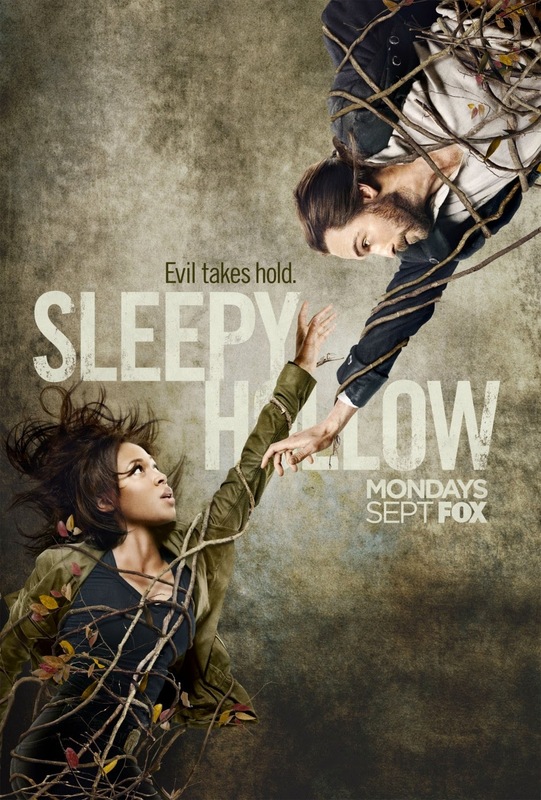 Sleepy Hollow airs on Mondays on FOX at 9/8c.